Windows 8 advertising logs reveal a Surface 2 without the RT moniker and a possible Nokia tablet. There is no doubt that Microsoft is working on a successor to their Surface line or that Nokia plans on making a tablet, but more confirmation is always nice. This time around, both devices may have been accessing the AdDuplex advertising network during testing and may have been caught in the process. According to AdDuplex, upon reviewing their logs they came upon access by a pair of devices named "Microsoft Corporation Surface 2" and "Microsoft Corporation Surface with Windows 8.1 Pro". 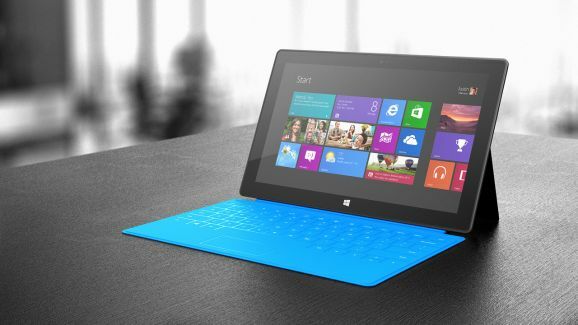 The first device is thought to be the new Surface tablet with Microsoft omitting the RT suffix, while the latter could be the new Surface Pro or a Windows 8.1 version of the original. In addition, the advertising network's logs revealed a number of Nokia devices with names that include RX-107 through 108 and RX-113 through 116. It is unclear whether the numbers refer to two separate devices or one device in separate stages of development, but it is very possible that this is the Nokia tablet that has long been rumored.